You are here: Home / Pregnancy / Which Individual Nutrient Supplements Might You Need during Pregnancy? With the few exceptions noted below, it’s best if you don’t take individual supplements. So if you’re one to pop a handful of individual supplements every morning-stop until you have more info! This includes herbal supplements, which often have no safety info about use during pregnancy. Pregnant? DON’t Take all these! Here’s why you should steer clear of most individual supplements–even when trying to conceive. It may take a while to figure out you’re pregnant and you don’t want to be stuck taking way too much of an individual nutrient! You can get too much of some nutrients and not enough of the ones that you really need while you’re pregnant. If you feel like you need more nutrients than just the ones listed below, consider a prenatal, which will have a balanced mix of the nutrients you do need. Some nutrients compete for absorption, so if you have an imbalance of one it could cause you do not get enough of the other–iron and zinc for example. Some herbs have drug effects, so use extreme caution and only take herbs if you are working with an experienced herbalist familiar with pregnancy effects. Some vitamins–notable vitamin A in the retinol form, may cause birth defects. Most breakfast cereals are fortified. Chances are you are eating at least a few fortified foods. 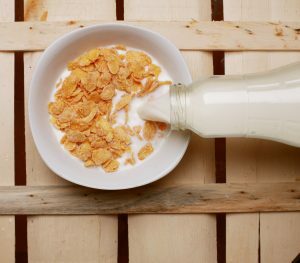 Many breakfast cereals contain 100% of the DV for some vitamins. If you add some individual vitamins on top, you could easily be getting too much of a good thing. Iron & Folic Acid are the only two supplements that the WHO and CDC recommend for all pregnant women. If you don’t take them individually, you’ll need them as part of a multivitamin-mineral supplement. Calcium—if you don’t drink milk or eat other calcium-rich or fortified products: 1,000 mg a day. DHA—if you don’t eat fish or other omega-3-rich foods on a weekly basis: at least 200-300 mg.
Probiotics—if you don’t eat yogurt or kefir, or another probiotic food on a regular basis. Research shows that probiotics have some positive health effects–beyond just digestion. You can get probiotics from other fermented foods like kimchee, tempeh, miso and sauerkraut, a supplement or probiotic infused drinks like Good Belly and Yakult. Vitamin D—it is very possible that you need a vitamin D supplement in the winter, and under some other circumstances too. This is a Consumer Reports recommended brand. Even where I live in Texas, many women have insufficient or deficient levels of vitamin D. Think about it, in the summer, you probably put sunscreen or cover up, which keeps UV light from producing vitamin D in the skin. Some health care providers recommend recommend 1,000 IU (or more) per day. It’s best to get your level checked. Herbal supplements may be “natural” but they may not be safe for you during pregnancy. Here is a great, science based article from Aviva Romm MD a Yale-trained physician, midwife and herbalist, who breaks it down between the safe and questionable herbs for pregnancy. Nutrition supplements as well as herbs are not regulated for quality, contaminants or safety. Buyer beware! 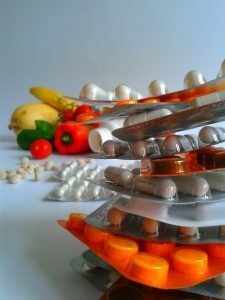 A great resource is the Natural Medicines Comprehensive Database, which reviews herbs and supplements for safety, quality, effectiveness and more. Consumer Lab is a company that independently tests and reviews specific brands of supplements.